I take too many photos. Way too many. The umpteenth of a photo from our balcony of the same view, but this time, a twist! Only once before in almost four years have I seen the sun set as a glowing orange ball of fire. 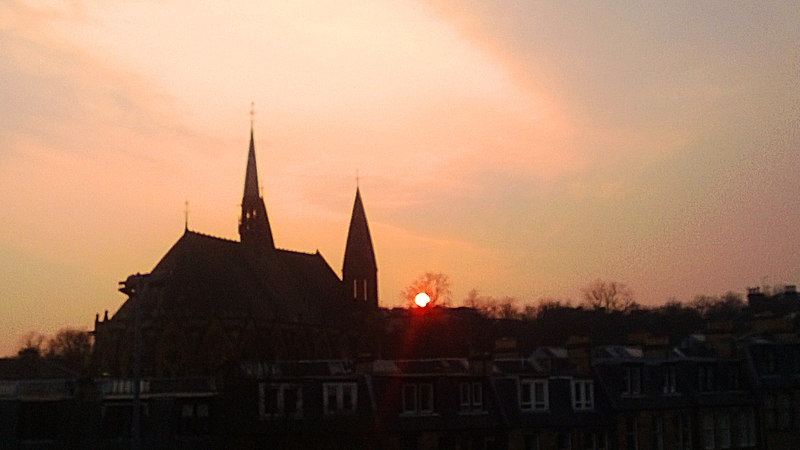 This entry was posted in 2013, April, Glasgow, Photos, Scotland, Weather and tagged 2013, 365 Photos, April, April 2013, Balcony View, Ball of Fire, Church, Orange, Spires, Sun, Sunset. Bookmark the permalink.